Because actions are the ones that matters the most, since 2015 we have been working with Live Build in the coffee villages of Sanyar and Bassee in Cameroon to provide a better water network and sustainable management. 1) Sustainable agronomy practices and quality processing. 2) Organizational development, good governance and leadership. 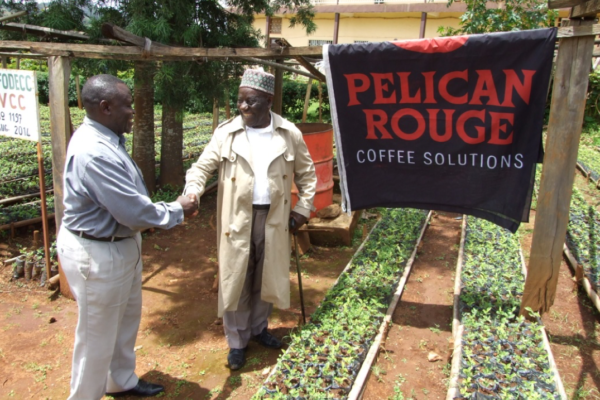 3) Improving work and living conditions of the coffee farmers. 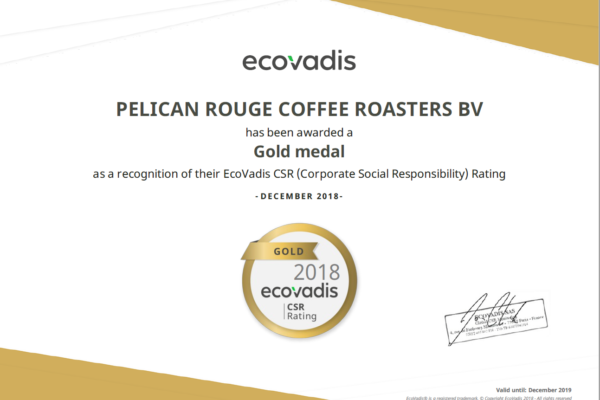 EcoVadis uses ISO 26000 and UN Global Compact in its methodology and assessment of suppliers, quantifying elements of sustainable developments to create evaluations. Is a standard that provides guidance and recommendations on how to improve in corporate social responsibility. As it is a standard, it takes CSR towards constant progress and innovation. Sustainability at Pelican Rouge is all about minimizing our impact on our environment and turning this policy into concrete, engaging activities. That is why with the help of Better Future Factory and Cirkellab, we have been able to transform our waste into a new product. The plastic waste from the packages is vacuum formed into a coffee knock case to be used by people with an espresso machine for holding grinded coffee residue. By reusing valuable raw material, we help reduce our CO2 footprint and minimize our waste disposal costs, putting approximately 60 tons of residual plastic to good use. 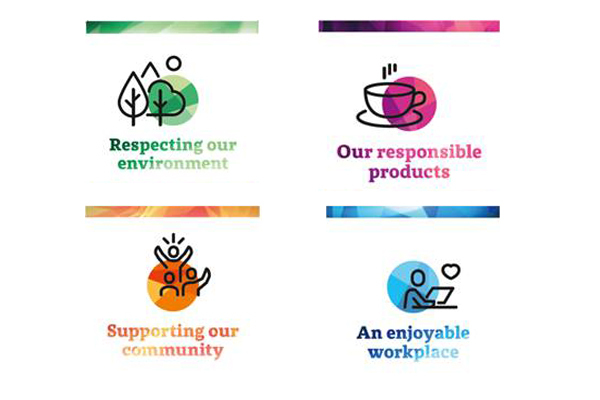 The scale of our operations, combined with our sustainable initiatives, enable us to make a difference and leave a positive footprint.